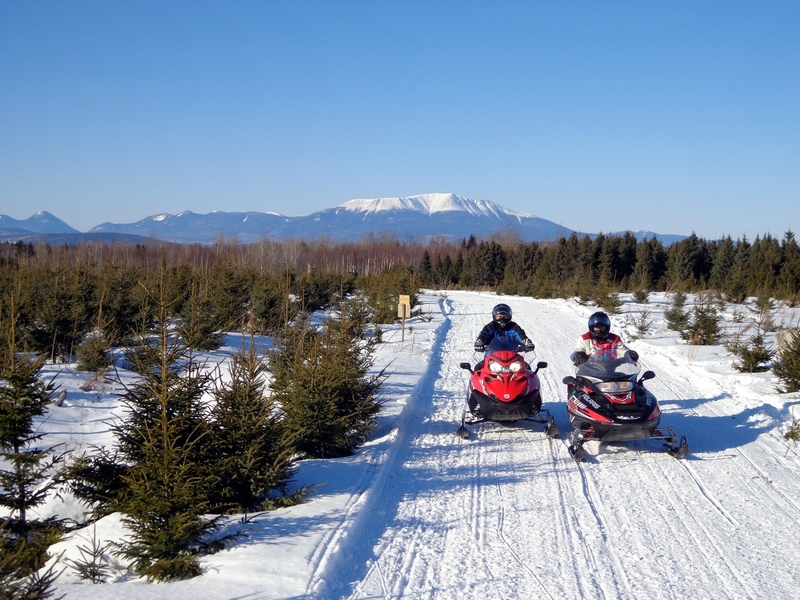 Here is a photo of Mount Katahdin in the background as two snowmobilers pass. It was a crystal clear day and very cold. Perfect for taking this great shot! 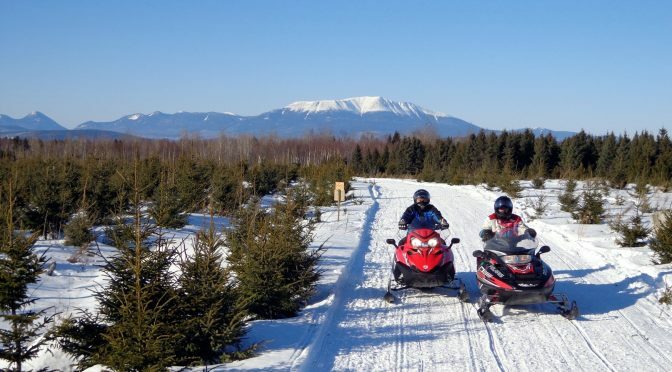 Thanks to Rick LeVasseur from 5 Lakes Lodge for the great photo and Maine-Snowmobiling.com for showing it to the world! Oh, and thanks for letting us share it, too! Hi. Welcome to our new site. We have compiled a large amount of information for those wishing to visit our region. We also feature stories, photos and videos from the Millinocket, Medway, Sherman and Patten, Maine area. An area otherwise known as the “Katahdin Region.” Start at our Homepage and go from there!